Laurie Elliott is a three-time Canadian Comedy Award-winner. She had a recurring role on Much Music’s highly rated series “Video on Trial,” CBC TV’s “The Red Green Show” (for which she received a Gemini nomination for Best Ensemble Cast) and “The Jon Dore Television Show” (The Comedy Network/IFC) where she also worked as a story editor. 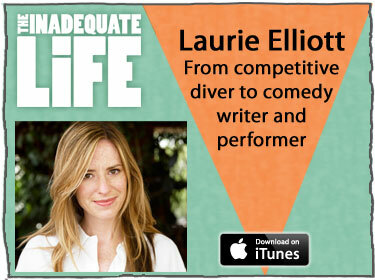 Prior to her life in comedy Laurie was a competitive diver. During our chat I theorize that the discipline Laurie learned as a competitive diver is, in part, the secret to her success in comedy. Laurie also writes and does voice work on animated TV series, including Total Drama, Skatoony, Detentionaire. We discus the difference between writing stand-up comedy and TV show scripts. Check out episodes that also mention animation, Comedy, Writing.